No matter where you are in your career as a real estate investor, you’ll benefit from understanding how to evaluate investment opportunities. Naturally, the profit from a given rental property is an important factor for determining whether or not it’ll make a good investment. And the net operating income formula is one of the several metrics real estate investors can use to calculate expected profits. By simply measuring the ongoing costs of owning a rental property, an investor can analyze how much money he/she can potentially earn. This makes the net operating income a valuable standard for analyzing a real estate investment and even for comparing potential deals. Therefore, understanding the net operating income formula is vital to make smart decisions in real estate investing. To get a firm grasp of the net operating income, generally referred to as just NOI, its components, and how to use it to evaluate investment properties, keep reading. Let’s first start with a definition. In real estate investing, the net operating income is a formula to measure the amount of annual profit a rental property brings in after taking into account all income collected (or revenue) and covering all of its expenses. In other words, the NOI formula enables real estate investors to get a better look at the potential profitability and financial health of an investment property in relation to how much it costs to operate it. While the net operating income can change over time as the investment property’s revenue and expenses fluctuate, real estate investors still believe that it provides valuable information about whether a given property will make enough rental income to support payments on its debt. 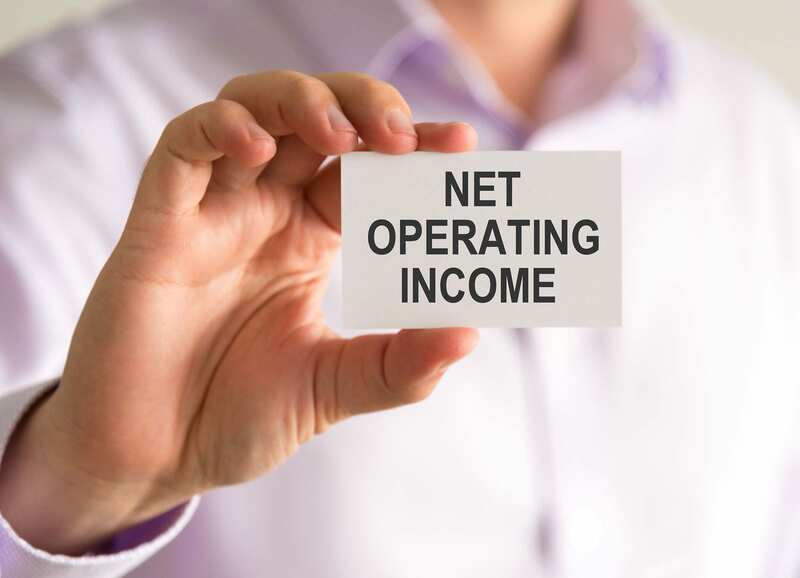 In addition, while it may seem that the net operating income formula is similar to the cash flow formula, you’ll realize that they’re actually different metrics once you learn the components of the NOI formula and how to calculate net operating income. Related: What Are the Most Important Metrics in Real Estate Investment Property Analysis? Rental Income: The amount of rent collected with the assumption that the property is 100% occupied. If you haven’t bought the rental property yet, you can find its potential rental income by looking at real estate comps in your area. Other Income: If you’re investing in multi-family real estate property, you may have other sources of income besides the collected rent. For example, income made from service charges like parking, vending machines, or laundry machining all contribute to the revenue from rental properties and need to be included in your calculations for an accurate evaluation. It’s important to note that the NOI formula doesn’t include expenses related to property financing (like mortgage interest and mortgage payments) nor income taxes. This is because the net operating income focuses on how profitable the rental property itself is, without including expenses that are specific to the real estate investor. This shows how an investment property’s NOI is not the same as its cash flow. These expenses don’t affect the NOI, but they do affect cash flow as they’re included in the cash flow calculation! Essentially, NOI is the net cash you earn before paying mortgage payments and income taxes. This gives you another benefit of calculating NOI as it tells you how much cash you’ll have available to pay off your mortgage after paying all the every-day operating expenses. So, we can say that the net operating income formula is the first step to calculating cash flow. In addition, property investors commonly calculate cash flow on a monthly basis while the NOI, as we mentioned, is an annual basis calculation. Related: What Is Cash Flow and How Does It Let Real Estate Investors Make Money? The reason why NOI does not include mortgage payments and income taxes is that they vary for each real estate investor. For example, while you might finance your real estate investment with a mortgage loan, another investor may choose to buy a rental property with all cash. In this case, it would make no sense to add financing expenses to the net operating income equation. 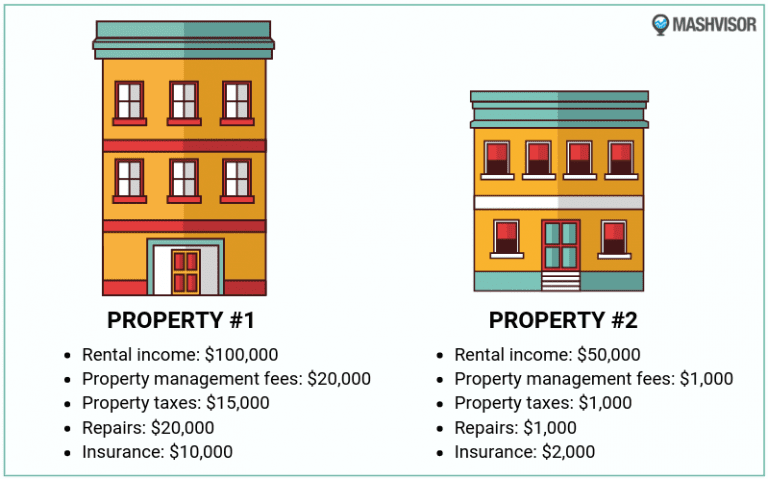 As you can see, while the first investment property generates more rental income during the year, it has more operating expenses than the second one. Therefore, the second property actually has a higher NOI. Does that mean that it’s a better investment? In terms of net operating income, yes. However, there are other metrics that property investors need to consider before making an investment decision. So, while this equation gives good insights, there’s a lot more that goes into an investment property analysis. 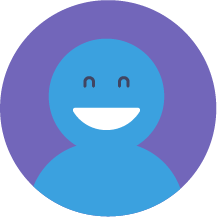 Do you have a free Mashvisor account? Use our Property Finder to find profitable investment properties with readily calculated data that match your criteria in a matter of minutes! There are many ways to use the net operating income formula as a real estate investor. First off, before buying real estate property, investors calculate the NOI to determine if it’s a good investment. They can ensure that a given rental property will generate enough money to cover additional, non-operational costs and still make positive cash flow. Owners of rental properties can also use the NOI to decide if they need to improve their cash flow. There is no such thing as a “good” NOI. Instead, you can compare your property’s net operating income to that of other similar properties in the same area (real estate comps). This allows you to see if your expenses are too high or rent is too low. You can then work on improving your cash flow and NOI either by increasing rental income or cutting operating expenses. Moreover, real estate investors use the net operating income formula to find the cap rate or the value of a property. The cap rate is another metric in real estate investing which you calculate by dividing the NOI by the property’s value. This can be viewed as the rate of return on a rental property purchased in all cash. For example, if you pay $1 million for an investment property with an NOI of $100,000, then the cap rate is 10%. The higher the cap rate, the larger your return on investment. Finally, the NOI is used by investors and lenders to calculate the Debt Service Coverage Ratio (DSCR). This measures whether the property’s income is enough to cover its operating expenses and pay monthly mortgage payments. To calculate the DCR, divide the property’s NOI by the total debt service (i.e. the annual total of your mortgage payments). Naturally, lenders prefer investment properties with high NOIs, as they interpret this as evidence of a low probability of default on the loan. NOI is essential in evaluating and analyzing investment properties. It’ll help you determine whether a given property is worth your time and money to make smarter decisions in real estate investing. Keep in mind, however, that the net operating income formula serves as a basis for investment analysis and should be used in conjunction with other real estate metrics to best understand the property’s overall financial standing. You can do that with the help of Mashvisor’s Investment Property Calculator. Our real estate investment tool calculates the NOI so that you’re in a better position to make smart investment decisions! To give it a try and subscribe to our services with a 20% discount after, click here. How Does San Diego Real Estate Look Right Now for Real Estate Investors? Investment Property for Sale: Are You Buying the Best One? What Is Cap Rate and How Does It Let You Make Money in Real Estate Investing? How do you measure rate of return in real estate investing? What is the difference between a housing bubble and inflation in US real estate?